The SA-66 is a revolutionary low voltage motor driven door lock for 90º swing doors. 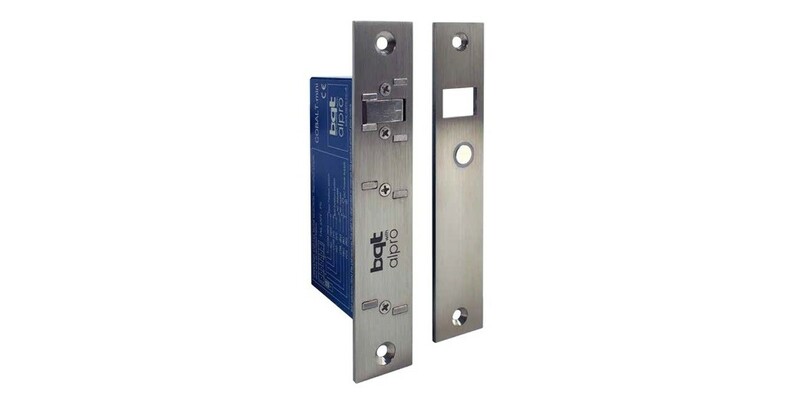 It has been designed to secure single acting doors and addresses the two biggest issues in door locking; the ability to align a misaligned door and the ability to release when requested, even with excessive load on the door. 12 – 24VDC voltage input. Door misalignment of 8mm is automatically corrected. Will pull a door into a secured position against a seal. Releases instantly when requested even with 100kg side load on the door. Less than 50mA standby current. Door and Bolt position monitoring. On site conversion from Fail Safe to Fail Secure. Stainless Steel material throughout lock components. Holding force: 1000kg (10,000N) with an automatic dead-bolting pin. Integrated access control that offers multiple attempts to lock and unlock, anti-tamper and auto-relock.